Sustainable land management is both something that happens on a moment-by-moment basis and something that requires forward-thinking, advanced planning. The Land Conservation Assistance Network was founded to help you make informed decisions about the future of your land holdings, whether they are farmland, forests, wetlands or mountain ranches. We are a free resource for anyone seeking information about sustainable land practices, from the tax implications of creating a conservation easement to the availability of funding for improvement projects in your area. Making smart choices about how we use our natural resources is essential for continuing America’s agricultural, forestry, ranching and rural traditions. Those of us who enjoy the beauty of untouched wilderness or the wide-open spaces of farms or ranchland know how important it is to protect them from development and degradation. In doing so, we provide resources to help you preserve biodiversity, help regulate water cycles and create carbon sinks that offset climate change. The idea of sustainable land management isn’t about regressing from progress — it’s about ensuring a balance between our technological, urban world and those natural spaces that support and compliment it. What Does Sustainable Land Management Look Like? Sustainable land management practices vary according to the type of land and its current use. For example, priorities for crop land and irrigated farmland involve preventing soil erosion, using water more efficiently and preventing runoff from polluting nearby lakes and rivers. On the other hand, sustainable management of a ranch may involve avoiding overgrazing, managing invasive plant populations or preventing the encroaching of urban sprawl. Ultimately, sustainable land management is about using land in a way that meets our economic and food production needs, while ensuring a healthy, natural balance is maintained. The first step in adopting more sustainable land management practices is to identify the specific immediate challenges facing your property. 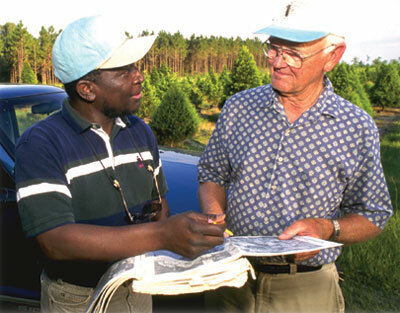 You can get started by visiting the Land Conservation Assistance Network library, where we host a growing selection of articles and resources outlining best practices in sustainable development in forestry, ranching and other industries. Once you’ve developed a plan for moving forward, you can then start identifying the opportunities and resources available in your area. Funding may be available to offset the cost of infrastructure improvements on your property — our conservation grant and funding pages contain numerous links to both federal and state-level programs. The work we do now to make sustainable land development a reality is only truly meaningful if it is carried on by future generations. One key goal of our work at the Land Conservation Assistance Network is to educate landowners about how important estate planning is to ensuring their legacy of conservation. 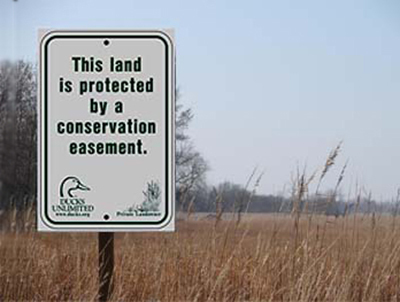 Options such as creating a conservation easement can permanently protect your land against development. Learn more by visiting our tax planning and estate management page today. Land Conservation Assistance Network is an entrepreneurial 501(c)(3) founded in 2000 addresses the information gap around sustainable land development experienced by many in rural areas. To help us bring these vital tools to America’s farmers, ranchers and landowners, make a donation or follow us on Facebook and Twitter today.